We heard the rumors, we got those rumors denied, but forget all that. 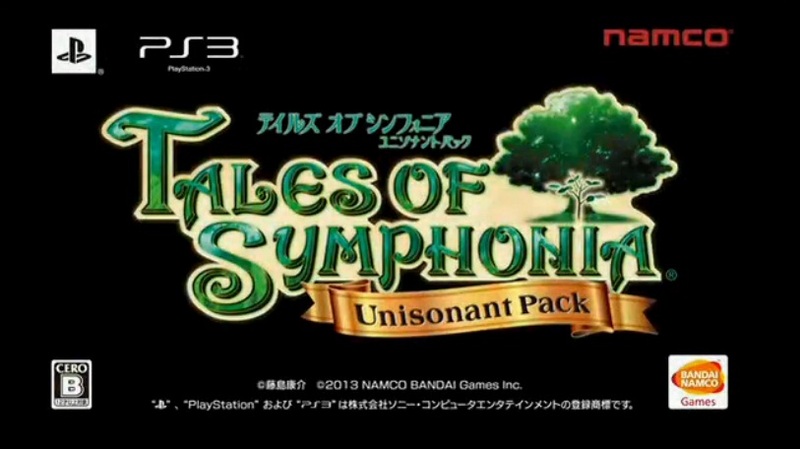 Tales of Symphonia: Unisonant Pack HD for the PlayStation 3 has just been confirmed at this year's Tales of Festival! 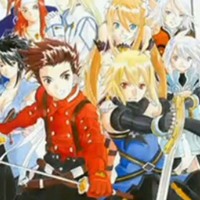 It's basically the original Tales of Symphonia plus Tales of Symphonia: Dawn of the New World remastered for the PS3! 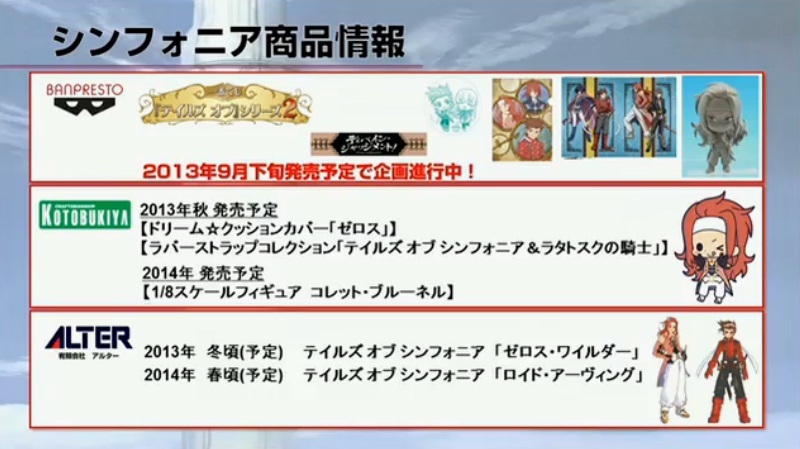 And that's not all, but localization has been confirmed for both US and Europe! Here's a rundown of the information! Minutes after the reveal in Japan, the West also got this announcement video from Baba-san! 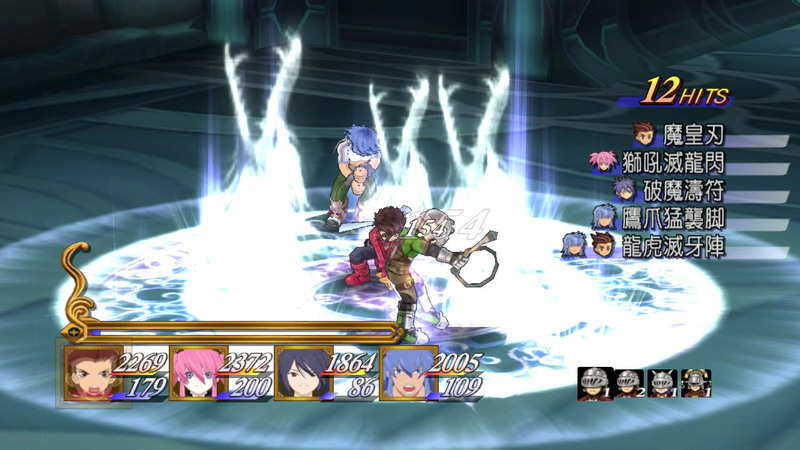 It'll be localized as Tales of Symphonia Chronicles (working title) and will be released in US and in Europe sometime early 2014! And here are the first screenshots of the pack! And here is the trailer they showed during the reveal. So, onto the basics. 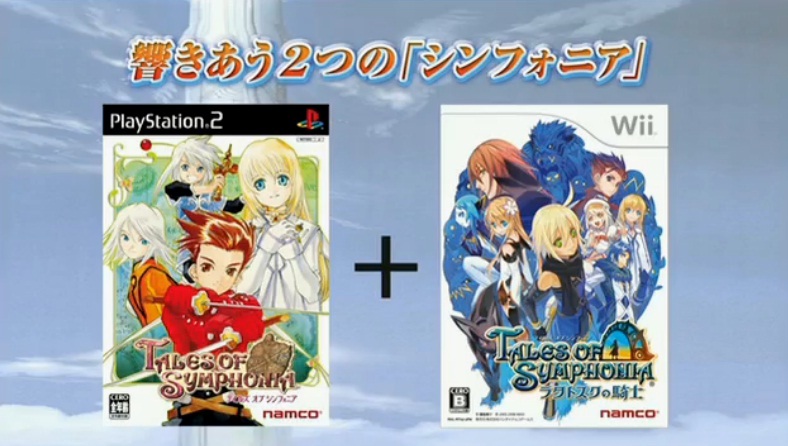 This bundle is, obviously, to celebrate Tales of Symphonia's 10th anniversary in Japan this August. 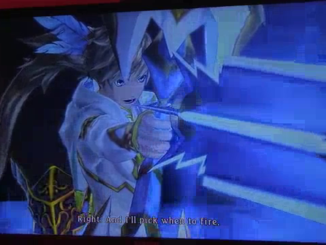 It's basically an HD remaster of the two games for the PlayStation 3. Here's the package art by Kosuke Fujishima. And it's coming out quite early, too! 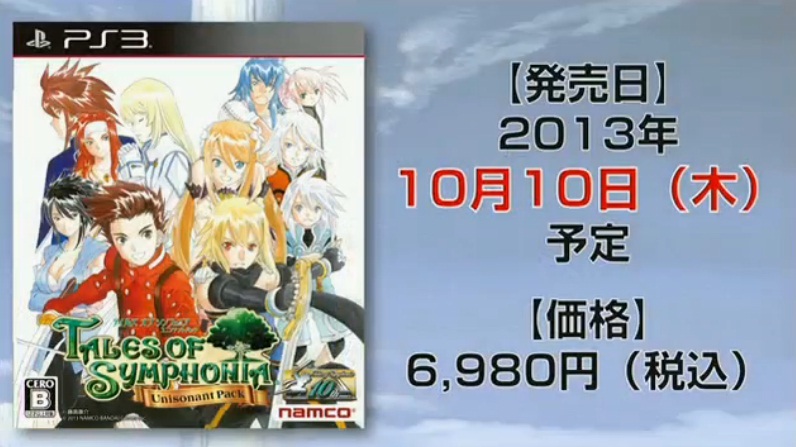 The Japanese release date is on October 10, 2013 for a price of 6,980 Yen (roughly $70). Again, those in the West are getting it early 2014. A Lalabit Market Bundle has been confirmed. It includes Kyun Chara Figures of Lloyd, Emil, Colette and Marta, plus a scenario book, all encased in a wonderful box illustrated by ufotable. It'll be for 9,980 Yen (roughly $99). You can find more pictures of the bundle here in our gallery. 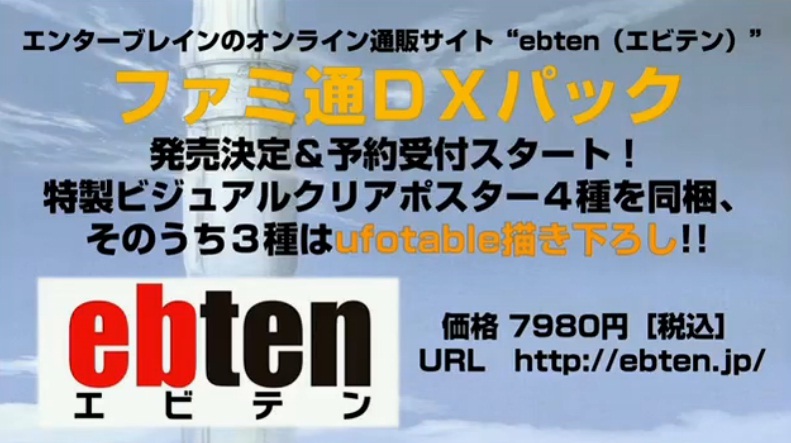 A Famitsu DX Pack has also been confirmed. 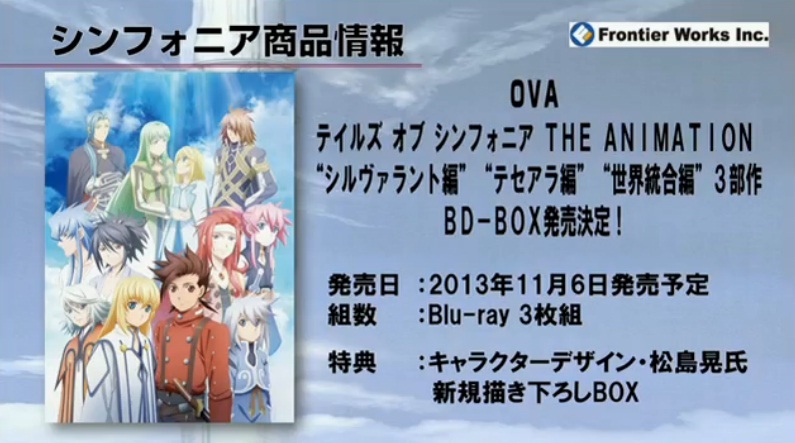 So far, contents include 4 visual clear posters, with 3 of those illustrated by ufotable. I'm not sure if it'll have more stuff. Price is at 7,980 Yen (roughly $79). 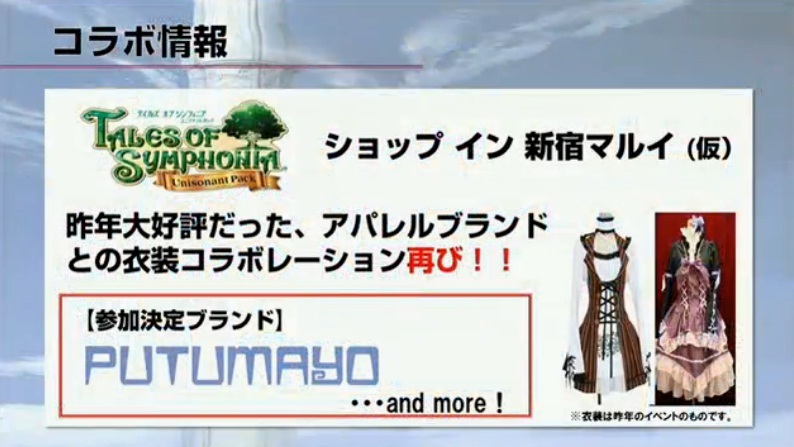 The Tales of Symphonia game will have new cut-ins and there will apparently be Tales of Series costumes for all the party members in Tales of Symphonia. 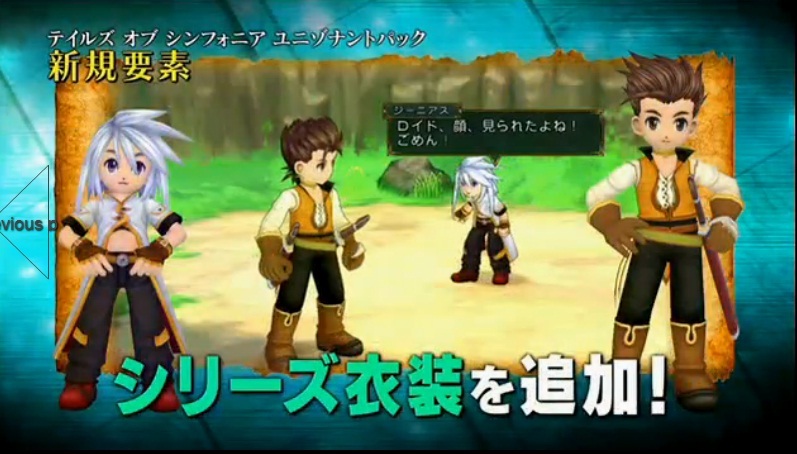 So far, only Lloyd's (Guy Cecil from Tales of the Abyss) and Genis's (Luke fon Fabre from Abyss) were revealed. 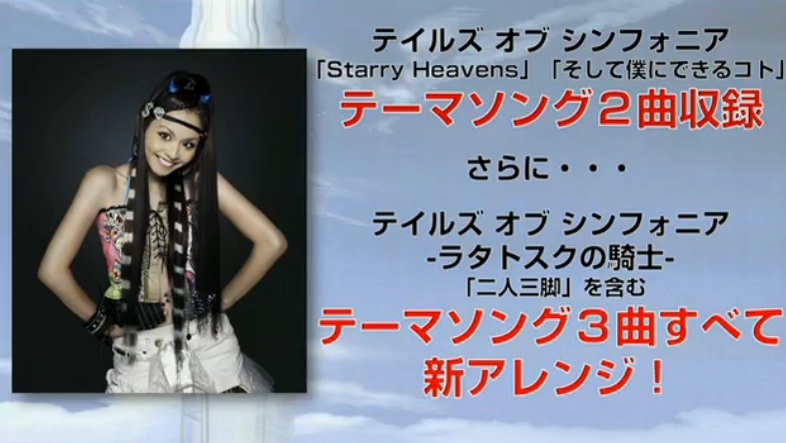 The three Japanese opening songs for the two games, Starry Heavens, Soshite Boku Ni Dekiru Koto (The Thing I Could Do Then, for Symphonia) and Ninin Sankyaku (Three-Legged Race, for Dawn of the New World) will have new arranges for this HD collection. 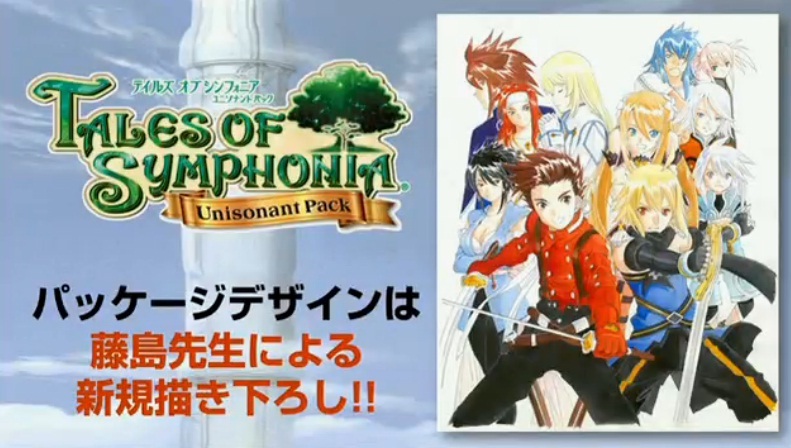 That's pretty much all the info so far on Tales of Symphonia Chronicles/Unisonant Pack. 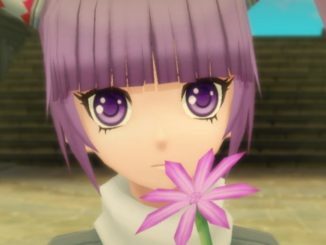 The trailer they showed at Tales Festival said "To be continued" so there will obviously be more info in the future. 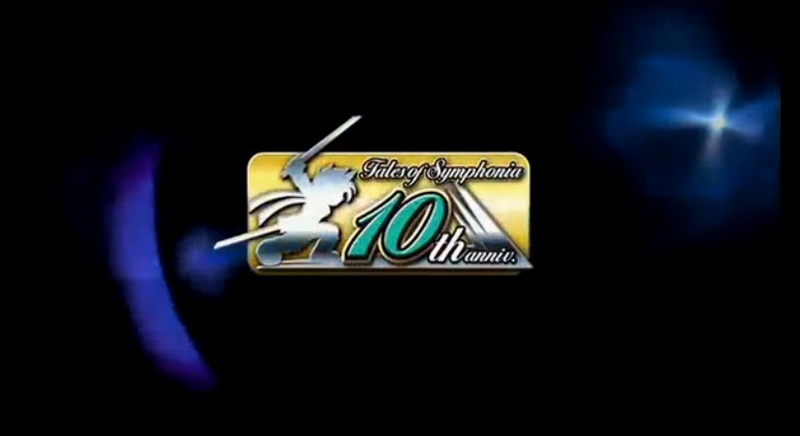 In the meantime, here're other Tales of Symphonia-related info for the 10th anniversary! 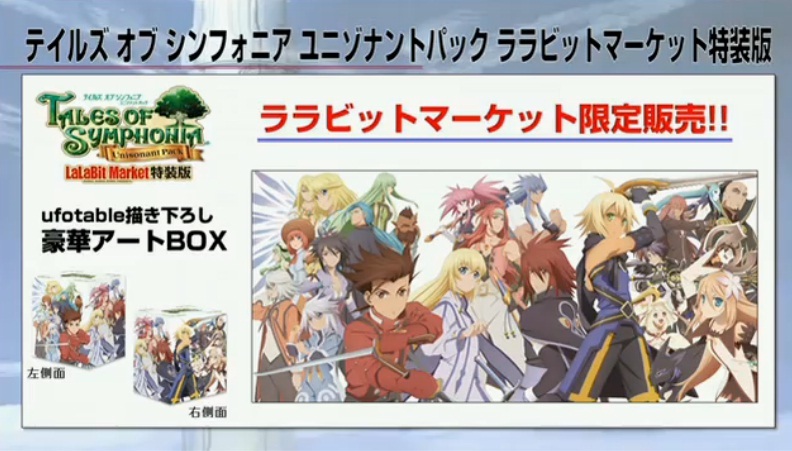 Tales of Symphonia: The Animation is getting a complete Blu-ray Box, which includes all three Sylvarant, Tethe'alla and United World Episodes/Arcs! The box will be out on November 6, 2013, no price yet. 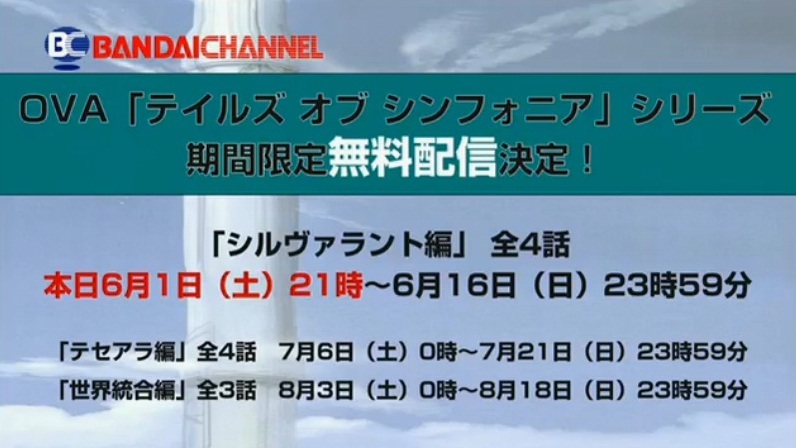 Also about the Animation, Bandai Channel will be showing all three Arcs at their site. The Sylvarant Arc will be running from June 1st to June 16th; the Tethe'alla Arc for July 6th to July 21st and the United World Arc for August 3rd to August 18th. 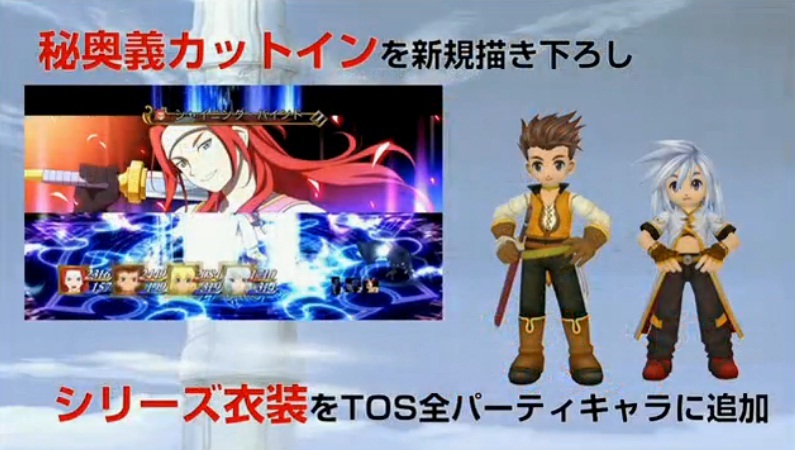 A new Tales event (most probably Symphonia-related) willl also be done at Namco Namja Town. Collaborations with Putumayo brand of apparel once again. 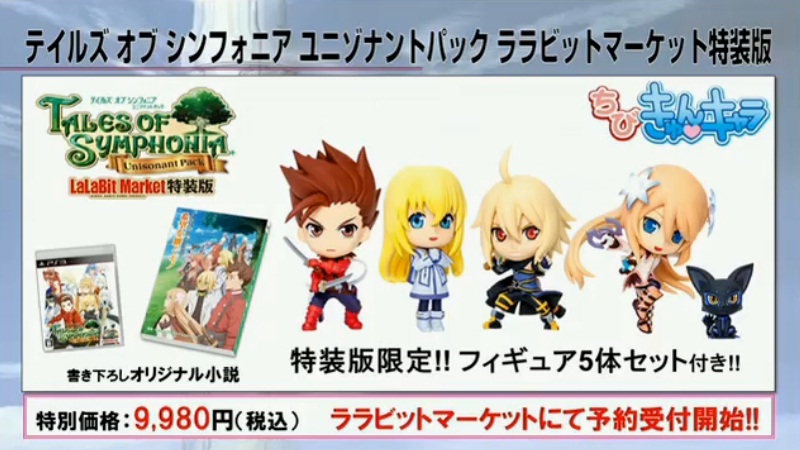 And lastly, some upcoming Tales of Symphonia merchandise! And there you have it! This year surely is going to be a Tales-filled year! 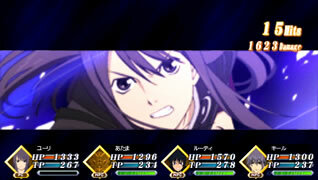 The game's teaser site in Japan is already online. To those who want to watch the entire reveal, you can do so below. The trailer for the game is at 1:59.